Sirocco Apartments price per day from € 14 . Erofili Apartments price per day from € 300 . Star Beach Village & Water Park . Diamond Apartments & Suites price per day from € 26 . Villa Sonia price per day from € 40 . 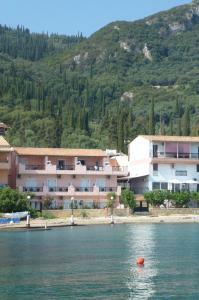 Mastorakis Hotel and Studios price per day from € 29 . Hersonissos Maris price per day from € 60 . Golf club Crete, 2.4 km from the centre of town of Koutouloufárion.